Whenever I got married, I was a young, naive girl. I knew I loved my husband, but I had no idea that a marriage can’t blossom on love alone. The first few years after the honeymoon stage, marriage was hard. We were learning to live with each other and accept each other for who we were and trying to get over each other’s insecurities. After 8 years, we finally reached that point in our relationship where we love each other even more than we did when we got married. We’ve been together through hard times, and even though, sometimes it may have been easier to walk away, our relationship made it. Trust. Trust is one of those things that can be hard to give. You’re becoming vulnerable to someone else and if that trust fails, a relationship can become in trouble. Trusting that your partner will be there for you in sickness and health may be hard, but once you get over the trust issue, a relationship can really soar. Effort. One of the hardest things to put in any marriage is effort, especially when kids are involved. We go throughout our daily days and we get exhausted. We often forget to try and our marriage suffers. Putting even just ten minutes a day into asking our partners how their day was or helping them do a chore can really make a difference in any relationship. Compassion and Caring. We have all been brought up to care about others, but sometimes in marriage, we get so caught up that we stop caring. When your husband gets sick and acts like he’s dying, it could be tempting to just tell him to grow up, or when you’ve had rough day with your kids, your husband might not really care because he had a rough day too. When compassion and caring are thrown out of the window in a relationship, your marriage can suffer and sometimes one half of the relationship will stray. Loyalty. In any relationship, loyalty is a must. When you’re significant other gets sick and can’t take care of himself, you can’t just up and leave. It’s essential that your spouse knows that you will actually be there in sickness and health. Or when you’re spouse makes a bad business deal and you lose every, you can’t just leave and you can’t bash them. Loyalty is one of those things that once you prove yourself, you’re in for a long haul. God. God is one of those people that you need, but you never realize how much you need them until they are gone. Keeping any marriage together requires God. The couple that prays together stays together. 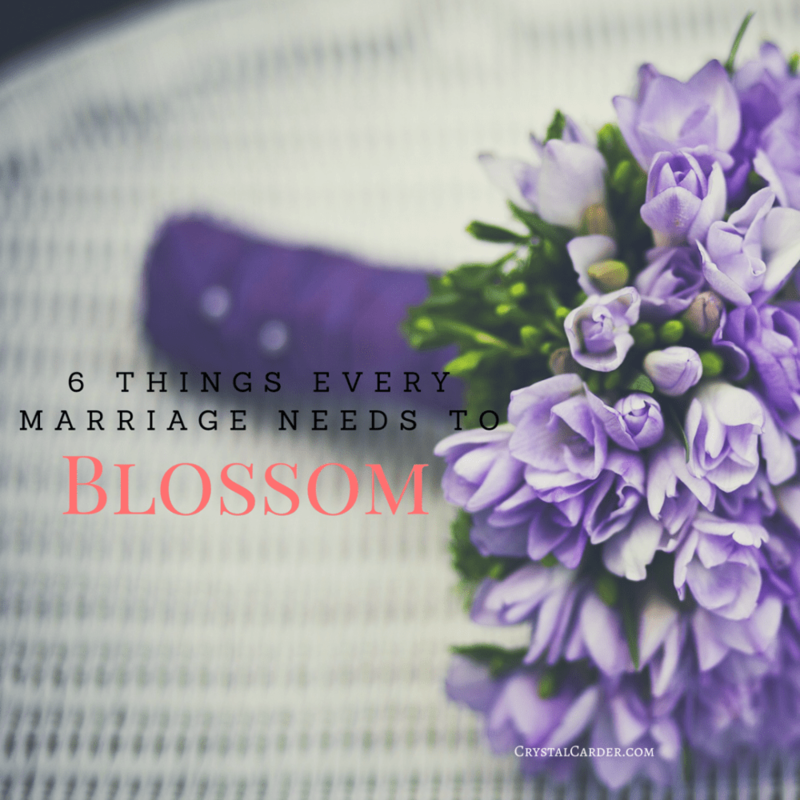 What are some other things that a relationship needs to blossom? Trust and communication have always been the most important thing for my relationships. Otherwise, you might as well be dating your insurance agent. But effort will always be the hardest part of any marriage.